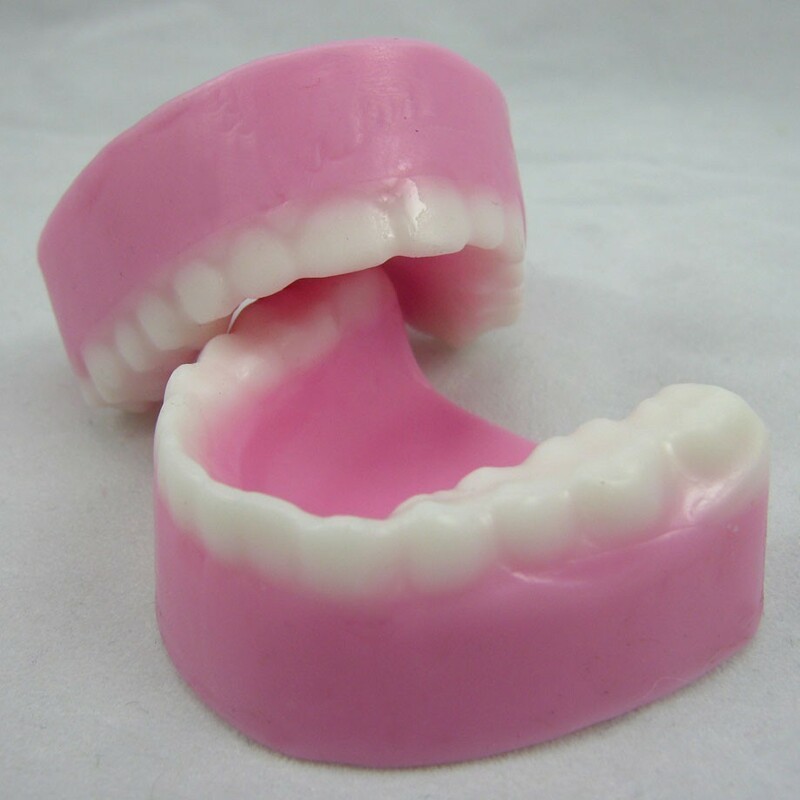 Free to Good Home - One super-sized pair of false teeth, lightly used, in a lovely shade of off-white. Slight Southern accent. Minimal staining and just a few vices. For more information, call 588-8881. Ask for Deenie. Or just come by 181 Waters Street. I'll leave them in the broken petunia pot next to the old green mailbox. Take them and run! Disclaimer: This set of teeth are prone to mysterious ailments, to talking in cliches, to ruining your social life, and to generally making you miserable. Just a few examples follow. Don't say I didn't warn you. "Were you raised in a barn? Deenie, go pick up your room. It's a disaster in there. Don't you know how to do laundry?" "Deenie, stop looking so sullen. Why can't you be more like your cousin, Lilly? She always dresses so nice and bright and chipper and she's actually nice to her grandmother." "Oh I don't think so missy. No parties for you. You stay home like a nice girl and wash your grandmother's hair. And don't be getting soap in my eyes this time. You know I have these cataracts and I don't want you going and making them any worse." "Deenie you look like something the cat dragged in. What is your mom thinking letting you wear all that makeup and that trashy skirt? You go change right this minute." "Just look at my swollen feet. Deenie, go get my compression socks, would you? They're in the right hand dresser drawer, under Grandma Daisy's doily collection, right next to Alfred's old Bible." "Deenie, back in my day we didn't sit around on the phone all day. We didn't even have those new fangled cell phones. We had to spend our time peeling potatoes and shelling peas and hoping when we were out hoeing the corn we didn't get bit by a snake like Uncle Henry did that one time. You kids are all so lazy - you don't know how to do a bit of work." "Deenie, is that another McDonalds bag in your hand? Again? You are going to get so fat. That fast metabolism won't last forever you know. Why I just saw on Dr. Phil the other day they were talking about girls and - what did they call them? Girls and muffin tops. Deenie, you're going to get a muffin top, and it'll be all ugly and sticking out with those improper tight clothes you wear too. Why don't you eat some nice vegetables instead? Open up a can of creamed corn. It'd be good for your digestion." "Deenie! Is that a nose ring? Oh my heart. Deenie, you're going to be the death of your dear old grandmother. For the love of God, take that nastiness out of your nose and go get me a glass of tea and a peppermint candy. I've got to sit down." "Deenie, I don't think you're getting enough fiber. Have you moved your bowels today?" "Oh my aching back. Deenie, go get my liniment." "I thought I told you to get rid of that nose ring. Deenie, I can't look at that nose ring, I just can't. And you used to be such a pretty little girl. What a shame. When your mother gets home I'm going to tell her you're completely out of control. It's that public school, it's ruining you. If I had my way we'd put you in Catholic school." "Don't you give me that look. I saw that. Your grandfather Alfred is rolling in his grave right now, I know it." "Deenie, that ring! THAT RING! Why if I didn't have this hip pain I'd hold you down and rip it out of your nose myself!" "Haf anyone theen my teef?" We want you to imagine you've just had a fight with a friend, a co-worker, husband, significant other, child - you get the picture. You're mad. It's time for revenge. What would you sell? Write a humorous listing for eBay or Craig's List. Talk about the history of the items, why they must go. And don't forget to enter my giveaway for a kid's fun pack or a spa pack - winner's choice! It ends tomorrow! I am laughing quietly so that I don't wake up my guys. This is soo funny. I don't blame her for taking the teeth. Bahahah I can picture your memaw. I had one just like her.. This is right on the nose (ring)! I lived with my grandma for a year and she could be just like this! You did a great job with this prompt-it's clever and extremely funny-and I loved it!! Too funny!...Lisa you crack me up! This is too funny!! Great job! Oh I love this!! I especially love the twist of the quotes thrown in. Good touch! I'm having so much trouble. It be easier if I knew what I'd get rid of. May have to skip this one. Oh my! Too funny!!! You did great! Oh this is HILARIOUS. I love it. Great, great blog! Found you on MBC! New follower--feel free to check out my blog. Very funny! I am your newest follower. Hope you will check out my blog and follow back. Hahaha!!!! Too funny! Very well done! This is too FUNNY!! Stopping in from MBC and looking forward to your post. Ha! I'm coming to follow you from MBC and whaaaa...you're too funny!! Thanks for the laugh! Sorry, no laughs on my blog - yet. Oh my gosh - funny, funny piece. And look at all the comments - they love it. That was hilarious! I keep coming across so much great writing stemming from Red Dress Club prompts that I'm starting to think about getting over my fear of writing fiction. Oh I love this, great take on the prompt, laughed my way through all of your quotes! Great and very funny post! Great take on the prompt. I was giggling out loud at all the quotes! Reminds me of someone I know in real life, unfortunately. Awesome. I love me some spunky old ladies! I'd have taken the teeth too! I might have even hidden them further from the house just in case they found their way back before a taker could be found! I absolutely love it. This was such a clever idea. So funny. Wouldn't every teenager love an "off button" like Deenie had? You capture dialogue so nicely! "minimal staining and just a few vices." Funny! I'm glad you clarified this was fiction, because, for a minute there, I thought you were writing about MY grandmother!